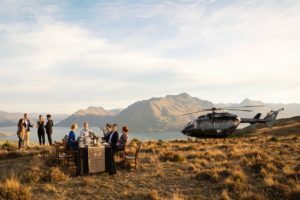 More than 40 new products ranging from a Queenstown craft beer tour through to a sunrise visit to the Cape Kidnappers Gannet Colony will be on show at TRENZ 2019. 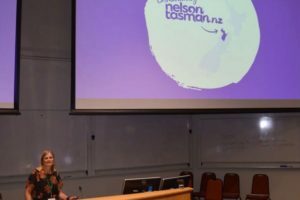 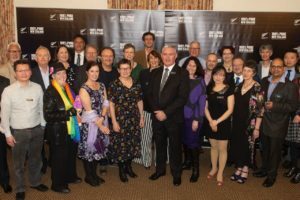 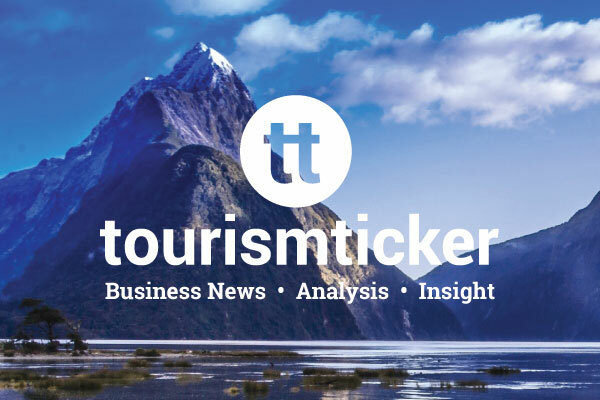 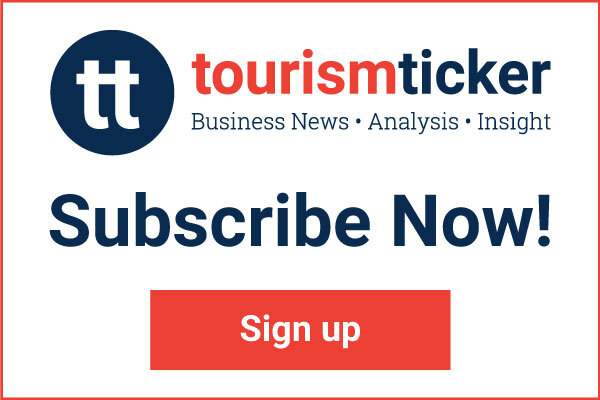 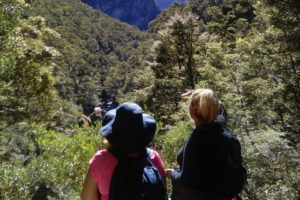 Tourism New Zealand has launched its annual business events campaign targeting the domestic market. 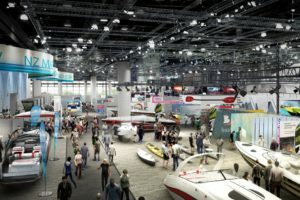 The net has been cast wider for this year’s showcase with 386 buyers from 30 markets booked to attend. 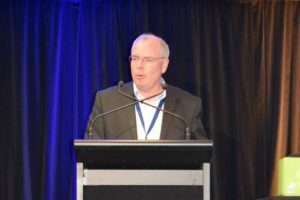 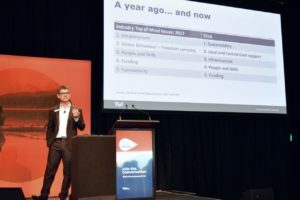 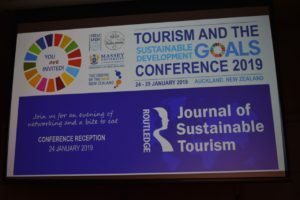 Navigating a path to future growth in the face of new challenges such as competing accommodation options, construction, investment, finance and staffing issues forms the backbone of the agenda at this year’s New Zealand Hotel Industry Conference. 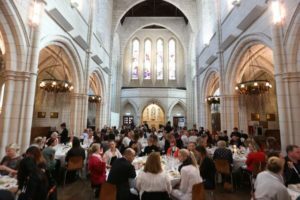 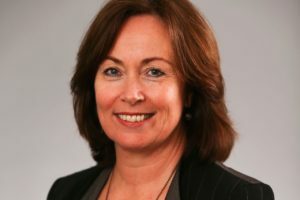 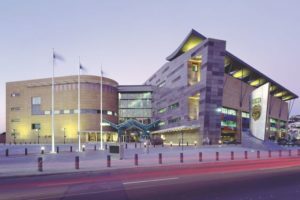 New Zealand’s leading business events showcase, MEETINGS, is to feature a post-event Christchurch famil for buyers for the first time this year. 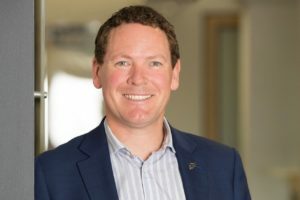 TRENZ is expected to pump more than $10m of additional business into the 2018 host regions of Dunedin, Waitaki and Southland, according to a post-event report. 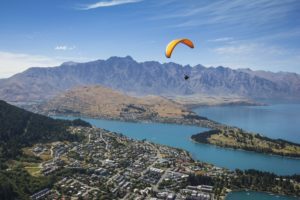 Queenstown has won a bid to host the 9th annual International Adventure Conference in a move which will see the event come to the Southern Hemisphere for the first time. 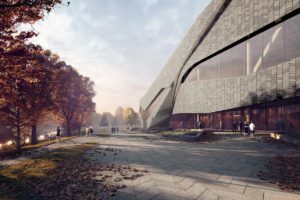 The Australian-based venues giant will run Christchurch’s $475m convention centre. 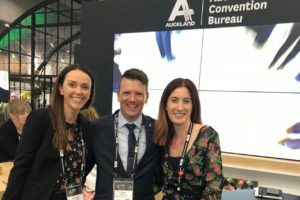 A strong Kiwi contingent are at the annual Asia Pacific Incentives Meetings Event in Melbourne this week. 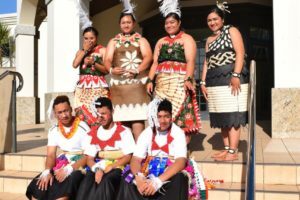 A strong New Zealand delegation including representatives from the Te Pae Christchurch and the New Zealand International Convention Centre have taken to the floor at the annual Asia Pacific Incentives Meetings Event, which threw open its doors this morning. 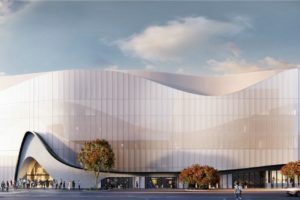 The latest delay to the $703m venue will affect nearly 8,000 delegates. 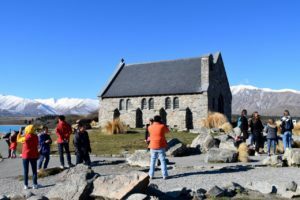 Industry has downplayed the postponement of next week’s 2019 China-New Zealand Year of Tourism launch, claiming there are no “shadows in the dark”. 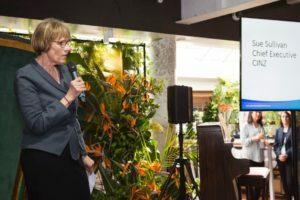 The country’s two leading incentive destinations will work together to target high-value, long-haul markets as a dual destination proposition. 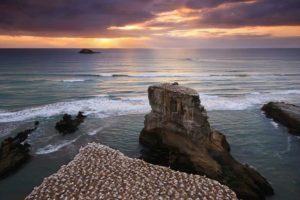 Destination Canada’s CEO has lessons to share with NZ from that country’s own Year of Tourism with China. 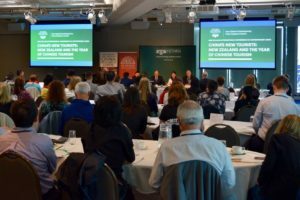 Around 120 tourism professionals, government representatives and academics have converged on Te Papa today for new insight on China’s outbound tourism market. 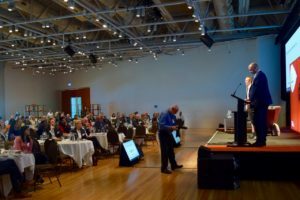 Can PCOA conference delegates #getNZonthemap? 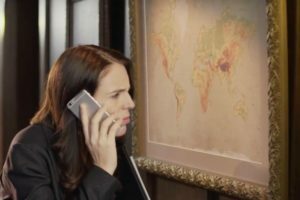 The New Zealand stand at next week’s PCO Association Conference in Melbourne has taken inspiration from Tourism New Zealand’s #getNZonthemap campaign. 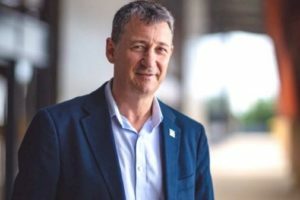 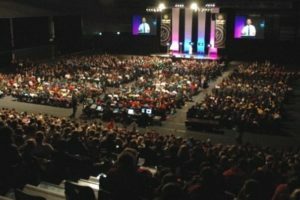 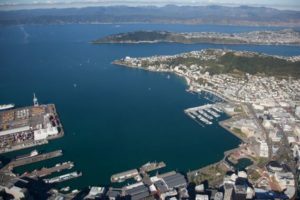 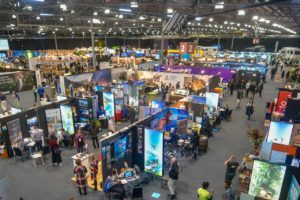 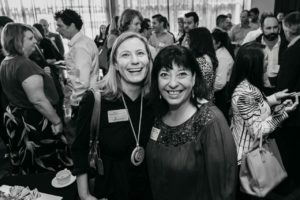 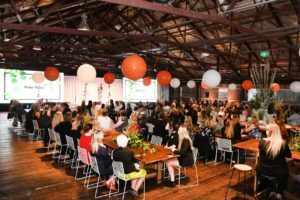 NZ’s $558m business events sector posted an uptick in delegate numbers and delegate days despite a 5% drop in the number of events in the year ended September 2018. 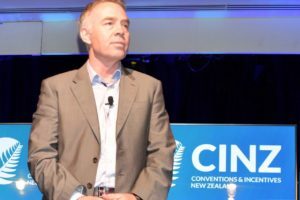 Tourism is now contributing $10bn a year more to the NZ economy than in 2014, says TIA chief Chris Roberts. 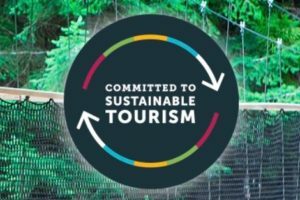 An updated version of the Tourism 2025 growth framework is top of the agenda at today’s annual Tourism Summit Aotearoa. 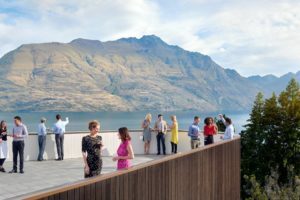 Queenstown has been selected to host the Conventions and Incentives New Zealand Conference next year. 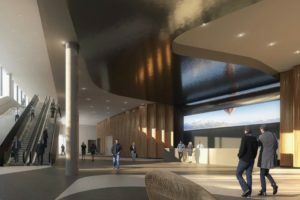 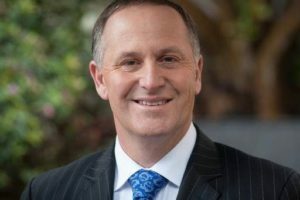 Former prime minister John Key has spoken out in favour of a convention centre in Queenstown, mooting involvement from SKYCITY Entertainment Group. 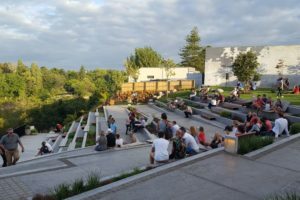 Auckland’s Convention Bureau manager Anna Hayward has received the 2018 Conventions and Incentives New Zealand (CINZ) Outstanding Contributor Award. 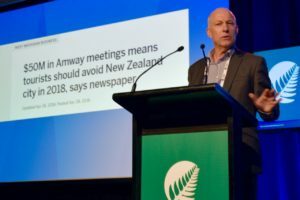 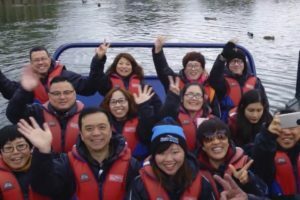 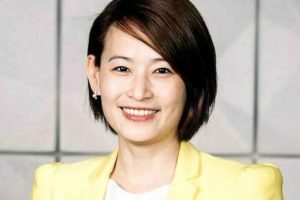 Managing “hysteria” was among the key challenges DQ says it faced in the lead-up to the 6,000-strong Amway China incentive trip. 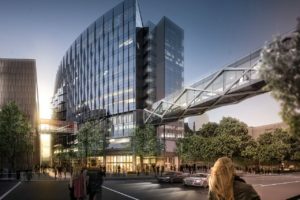 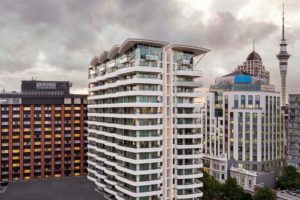 The already-delayed $703m NZICC and Horizon Hotel project will miss its December 2019 delivery date. 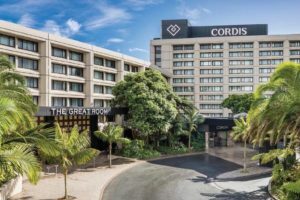 Motels’ loss of market share to Airbnb is “concerning”, says Horwath HTL’s Hamilton. 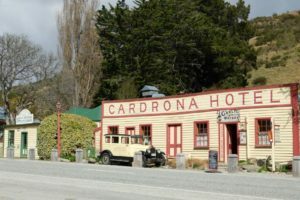 Wanaka’s boutique Cardrona Hotel has taken the top honour at Hospitality New Zealand’s 21st annual awards. 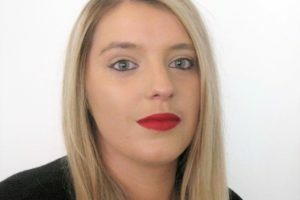 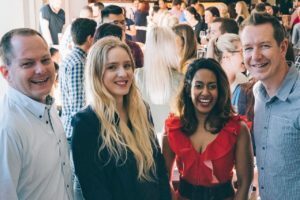 The best emerging talent from New Zealand’s hospitality industry has been recognised in the peak body’s second annual Rising Stars Awards.